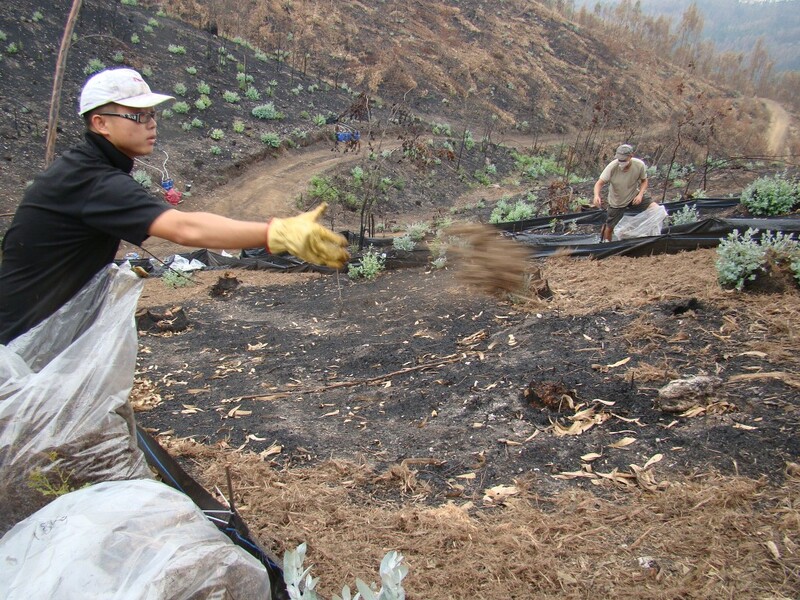 Team members spreading forest residues on the surface of burned soils. Credit: Sergio A. Prats. Still under the effect of the last wave of wildfires of summer 2013, Porto Canal interviewed the last Ph.D. student of the CESAM Research Centre at the University of Aveiro, who deals with soil erosion mitigation after wildfires. Porto Canal wanted to disseminate the last advances in recognizing the main effects of wildfires, the selection of soil erosion risky areas and especially the most effective techniques for reducing post-fire soil erosion. The recently-finished Ph.D. Thesis by Sergio Prats Alegre assessed the effectiveness of a variety of mulching techniques to reduce post-fire runoff and soil erosion. A new variant of mulching – the forest residue mulching– showed to be highly effective in reducing post-fire runoff and soil erosion, with comparable figures to the highly-effective, broadly-known straw mulching, but with some other advantages. Dr. Sergio Prats Alegre, carrying out “heavy” field work. Credit: Sergio A. Prats. Prats S.A., Malvar M.C., Vieira D.C.S., Keizer J.J. (Accepted). Effectiveness of hydromulching to reduce runoff and erosion in a recently burnt and logged Maritime Pine stand in central Portugal. Land Degradation and Development. Early view. Prats S.A., Martins M.A.S., Malvar M.C., Ben-Hur M., Keizer J.J. 2014. Polyacrylamide versus forest residue mulching: an evaluation of the effectiveness in reducing runoff and soil erosion after fire. Science of Total Environment 468-469: 464-474. Prats S.A., MacDonald, L.H., Monteiro M., Ferreira A.J.D., Coelho C.O.A., Keizer J.J. 2012. 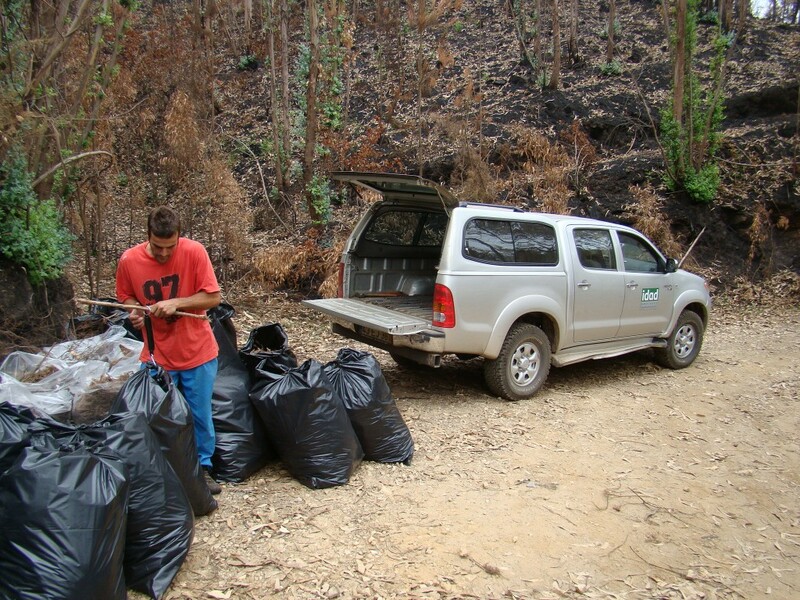 The effectiveness of forest residue mulching in reducing overland flow generation and associated soil losses following wildfire in north-central Portugal. Geoderma 191: 115-124. Fire and soil microorganisms: where should we focus on?